The first fire protection unit on record in Glencoe was organized in June, 1881. It was known as Glencoe Fire Co. No.1. In 1883 arrangements were made with the trustees of the Congressional Church to use their church bell as a fire alarm at night. The Glencoe Fire Co. became affiliated with the State Fire Association in Feburary, 1884. In 1893 the Glencoe Fire Co. No. 1 became the Glencoe Fire Department. In 1895 the by-laws and constitution were rewritten and the department was incorporated. In 1899 Henry Thoeny joined the department and eventually became Chief. Thoeny retired in 1947 after 48 years of service to the department. 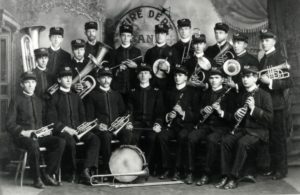 In 1906 a band was organized and a committee was appointed to solicit new members as personnel was very low. 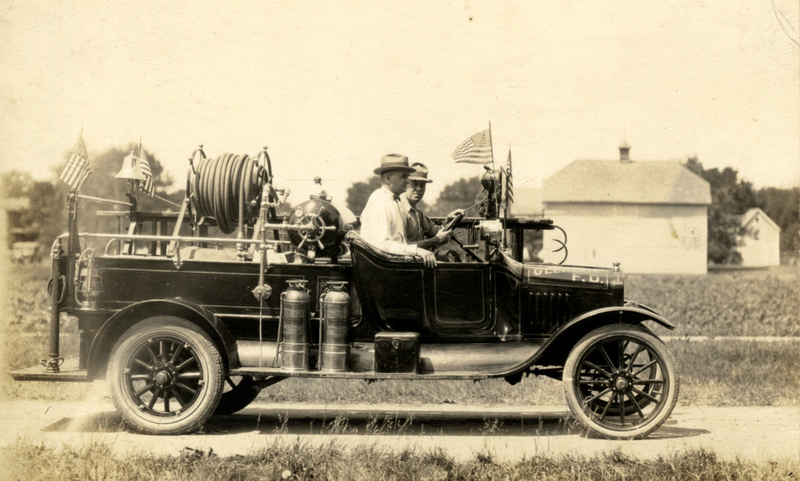 The first motorized firefighting equipment was purchased for the department in 1921. During all the years, the department was constantly being upgraded by having members attend fire schools, regional meetings, practice meetings and keeping up with new ideas in regard to better ways to prevent and control fires. Equipment was constantly being checked and updated. 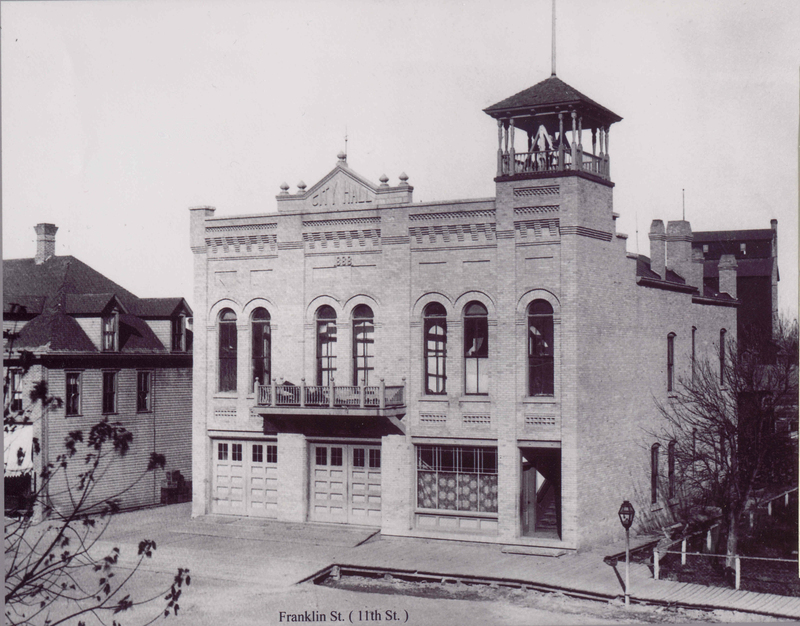 For many years the Fire Hall was located on Franklin Street next to the Oriel Theater. In 1963, discussion took place on the need for a new fire hall as the Fire Station in City Hall was no longer adequate. In 1967 the people of Glencoe, by ballot, decided to allow the new fire hall to be built. It was completed in 1968 and then Glencoe had a fire hall of which all could be proud. 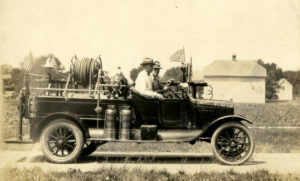 The beginning of the Glencoe Fire Department was very small. Today Glencoe has one Arial Ladder Truck (333), two Engines (331 & 335) , 2 Water Tenders (337 & 338), a Rescue Vehicle (336), Air Supply Van (334) Grass Rig (332) and RTV vehicle. The crew consists of up to 40 active and dedicated firefighters always ready when called to duty. The department has always remained a volunteer organization. The Glencoe Fire Department has contracts with all surrounding rural areas for fire protection.